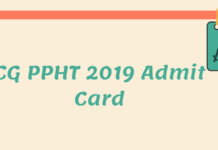 CG PPHT 2019 Result – CPEB shall announce the CG PPHT 2019 result in the month of May 2019 after conducting the entrance test on the scheduled date. The result will be announced online, on the official website cgvyapam.choice.gov.in. 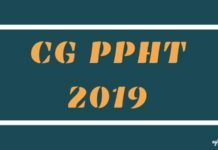 The CG PPHT 2019 Result display the marks and the rank of the candidates. To check the result, the candidates will have to submit the Roll Number mentioned in the admit card. The candidate who will obtain the minimum qualifying marks will be treated as the eligible candidate for the counselling process. 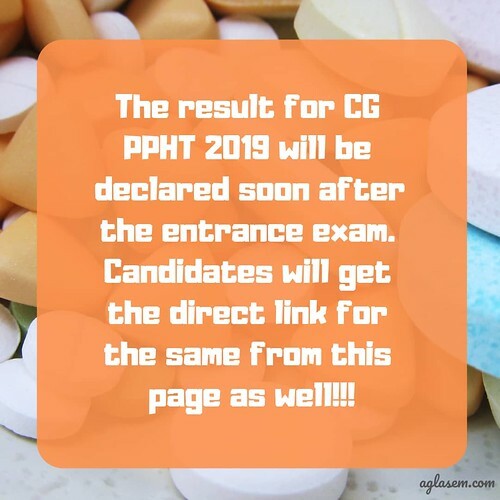 Read the article further to check more details about CG PPHT Result 2019. The result will be announced after the announcement of the final answer keys. A rank list will be prepared according to minimum cutoff marks. The candidate can download the result from the official website or they can download the same from the direct link, which will be provided on this page later. The schedule for CG PPHT 2019 Result is given below. 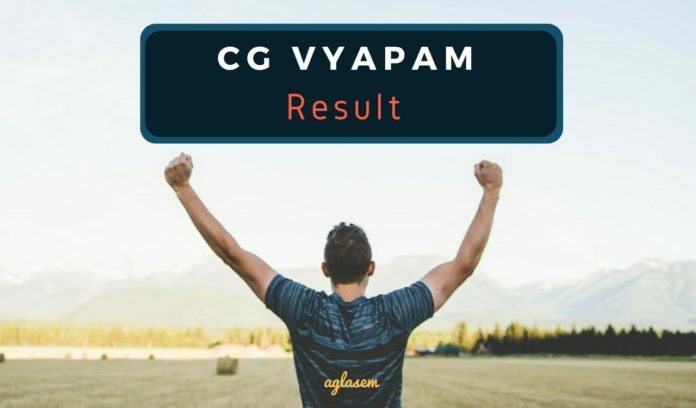 Result: The result of CG PPHT 2019 will be available on the official website www.cgvyapam.choice.gov.in. How to check the CG PPHT Result? Each candidate is issued a roll number at the time of form submission. This roll number is the only log in credential required to check the result of CG PPHT. Reach the official website of CG Vyapam results cgvyapam.choice.gov.in. You can also directly click on the check result here link given on this page. Enter roll number and click on submit. Check your result – CG PPHT Score and Rank. The CG PPHT 2019 result is going to be available in the form of a scorecard where candidates have to log onto the candidate portal to access the same. In the scorecard, candidates can see the details such as roll number, name, marks obtained in the exam and ranking secured. Candidates are advised to take a print out of the scorecard as it would surely be required at the time of offline counselling. Candidates can go through the table given below to get to know the seat allotments as per the quota wise. The below table is constructed on the basis of the last year trends. 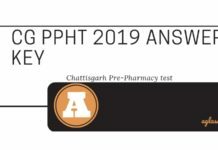 CG PPHT is conducted by the Chattisgarh Professional Examination Board (CPEB) for the purpose of proving admission in the courses such as B.Pharmacy and D.Pharmacy. The admission of the qualifying candidates would be done on the basis of the merit list released by the official body. Candidates have to secure the minimum marks as per the cut-off list to attend the counselling session. The first step towards the admission is to fill the choices on the official website after the result and merit list declaration. Then on the basis of the ranking secured, candidates will be called for further rounds.